The actual size of my game was 12.99 kb, or 13309 bytes to be precise (yes, just 3 bytes less than the limit :P) and it took me 77 hours and 23 min to complete. Pandemia is a zombie survival shooter game with Minecraft inspired graphics where you have to come through hordes of zombies in order to deliver a vaccine to a safe zone and stop the infection, saving the human race. But wait, you are already infected, so you will start losing your humanity and with it, your senses. So be quick and accomplish your critical mission before it's too late and you become an undead. Best experienced in Chrome. 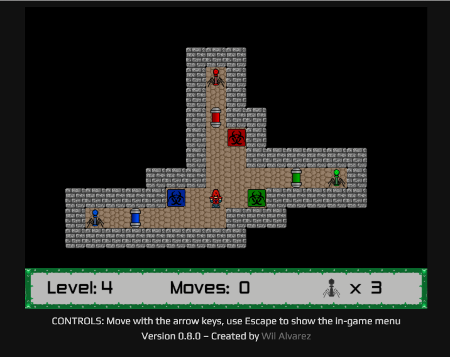 Controls: WASD, ZQSD and ARROWS to move. MOUSE to aim and shoot. A glitch in a prison complex could be something terrible, and it's up to you to take advantage of those glitches to escape. 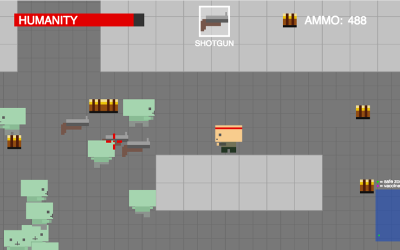 Avoid the cops, collect the coins and use the power ups to run the 1 km that separates you from freedom. Best experienced on Chrome and Firefox. Run on Internet Explorer under your own risk ;). In typical platformers you have to avoid enemies, avoid pits, collect stuffs, stay alive as long as possible and be happy. 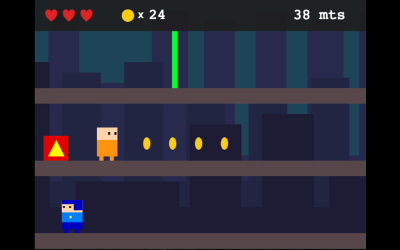 Please, die is not the typical platformer. 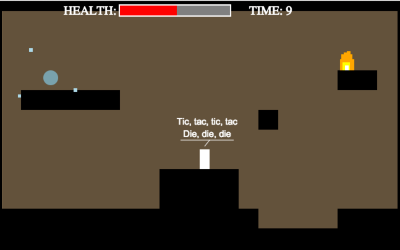 Things are kind of reversed here, so you have to help our little character with a very simple task: to die. Tested on Chrome and Firefox. Other browsers must work too but it hasn't been tested. 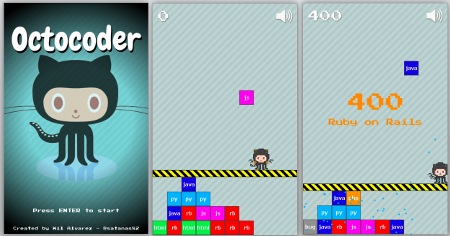 Octocoder is a tetris-like game where you have to collect code blocks and deploy them into applications. 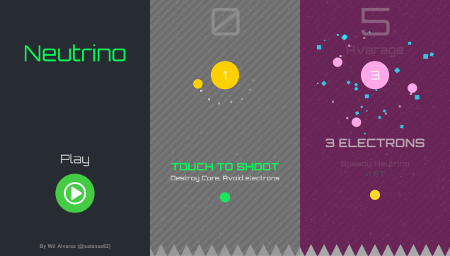 Combine the blocks to build popular applications and earn lots of points. Avoid unknown applications or your stack will grow. It works in Chrome, Firefox and Safari. It probably works in other browsers but I haven't tested. Infectors is a sokoban-like game where you have to solve puzzles pushing cryogenic capsules toward viruses to capture them and save the earth from the invasion. At the moment the game count with 21 levels. 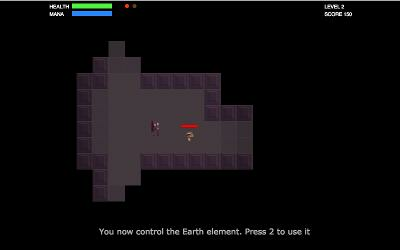 This version is a Phaser port from the original version developed in Pygame in December 2007. Background music and sound effects were created by my friend David Senabre. Pariah is set in a world where the destiny of humanity it's on the hands of one man that was rejected by society, labeled as crazy and locked up into a dungeon for the rest of his days. But now, everybody is dead and you are the last man alive, so your missions is to escape from the dungeons, avoid the zombies and find the four elements to restore the humanity on earth. This game was released under the figure of LudusPactum, with the valuable participation of Alexander Hass in the graphics and Fernando Larrañaga in the AI. 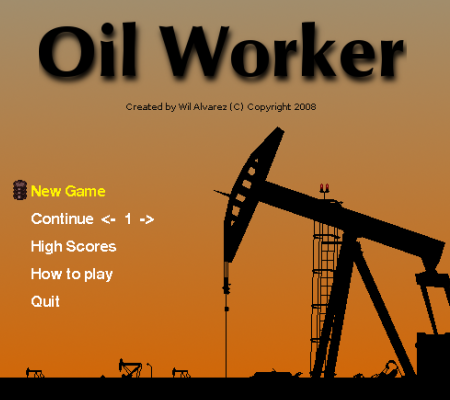 OilWorker is an addictive and challenging puzzle game where you get contracts to build a pipeline that will allow transport oil from one point to another. Your starting point is an oil well and random pieces of pipes (a-la tetris) will be given to you to build the pipe system that must lead to the oil refinery. The oil will start flowing after a few seconds and if it can get to the refinery, you win the level, the contract and lots of money. If the oil spills then you get fired and go back home with empty hands. 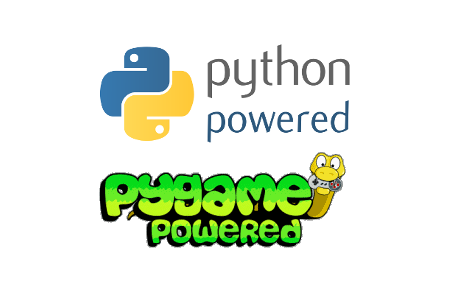 The game was developed in PyGame and counts with 20 levels. Graphics and development done by me. Sounds were downloaded from an open source archive.